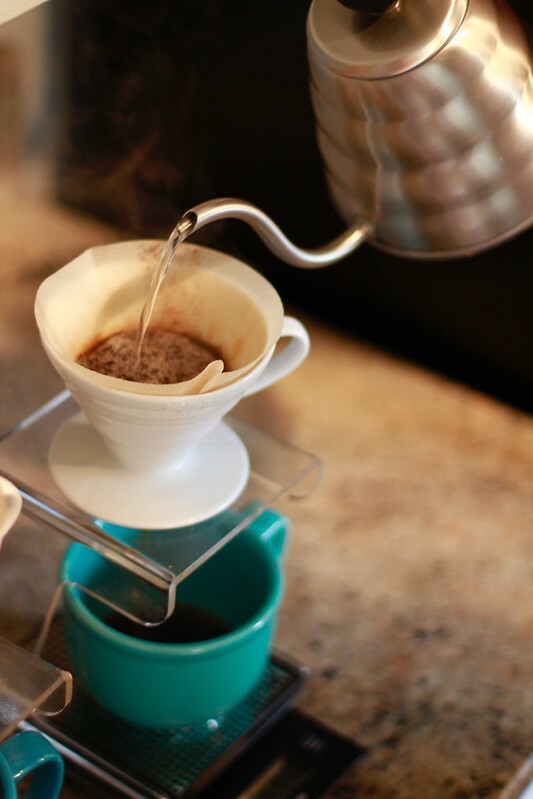 When it comes to a great cup of coffee, I prefer to make myself a pour over. 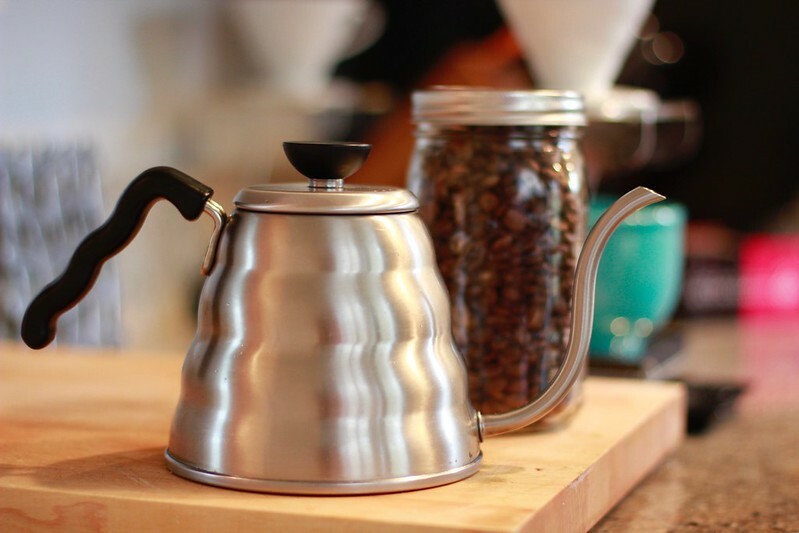 A few years ago, I took a class at Swing’s where they taught me how to make a pour over along with other types of manual brew methods. It was a great class. You can get all of the supplies I mention in this post at Swing’s. You can use a regular kettle, but I love and highly recommend the swan neck kettle. I helps you give a slow and precise pour. 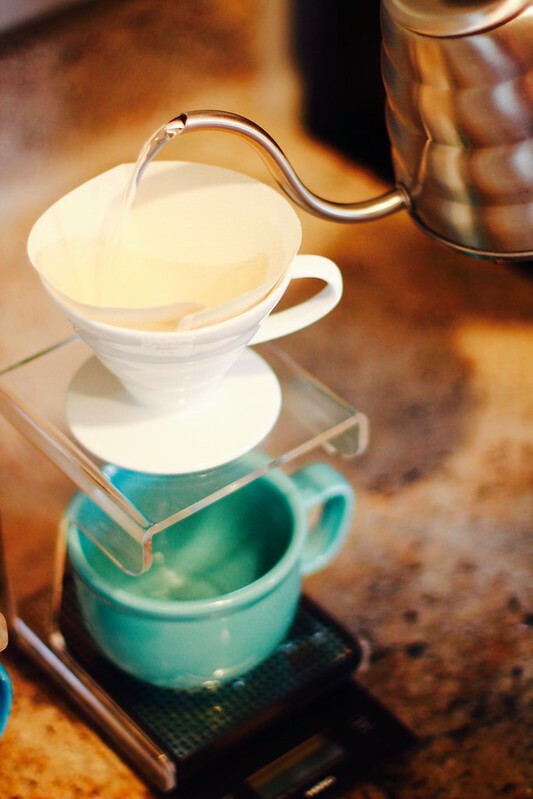 Place your coffee dripper over your mug. I start off by rinsing the filter with hot water. 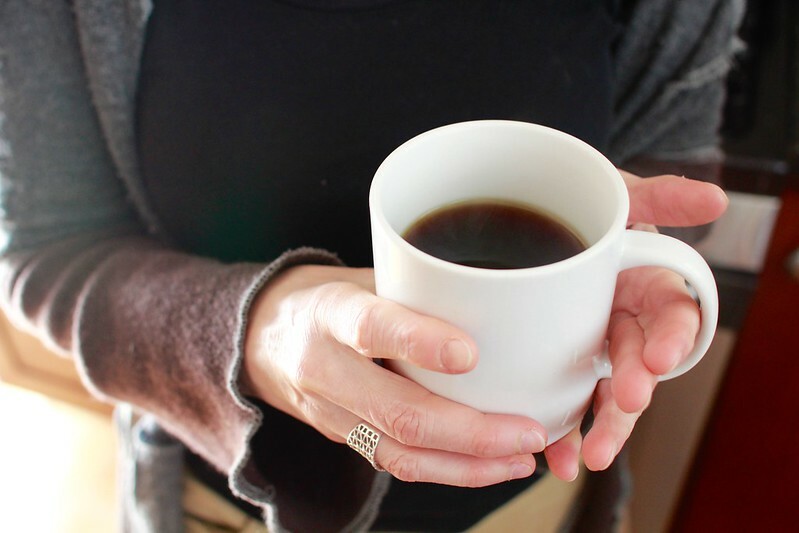 You don’t want to taste anything but the coffee, rinsing the filter quickly cleans it off and warms up your mug. 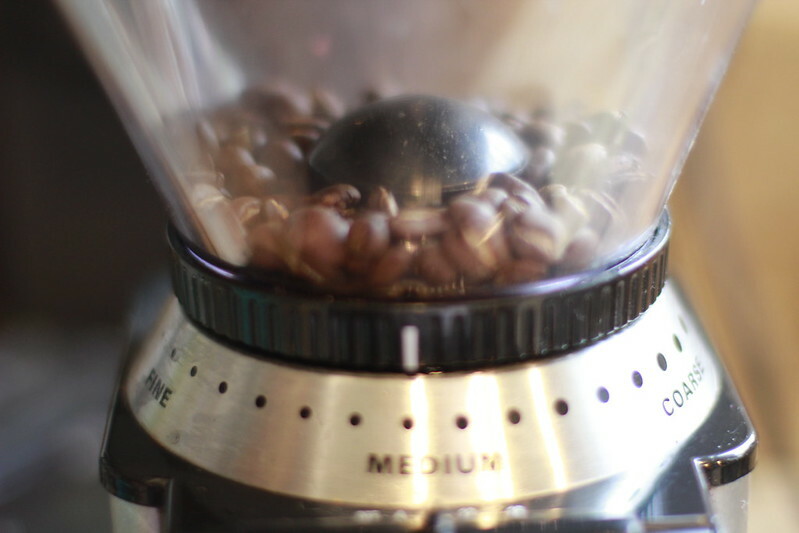 I always grind my coffee right before I brew it. Pre-ground coffee tastes stale to me. I grind the beans on medium. 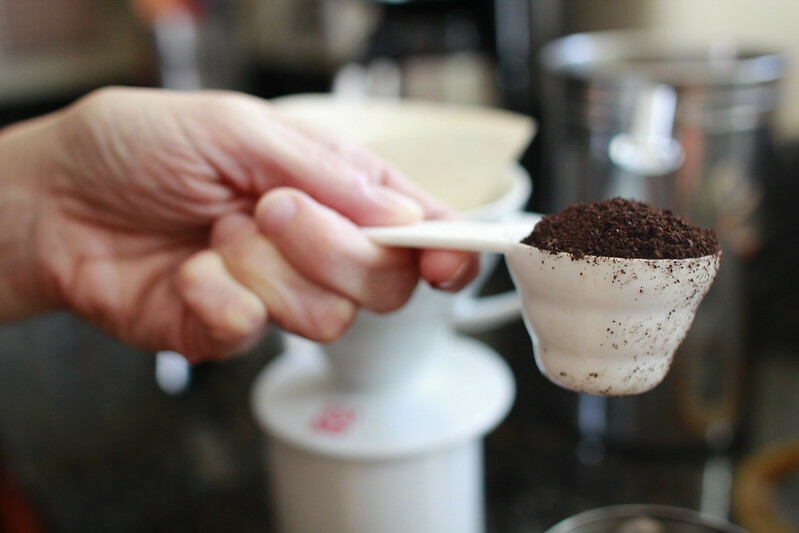 You can be very exact and use a gram scale to weigh out your coffee grounds (21 grams) for one cup. As you can see here, I’m making 2 cups, so I measured out 42 grams. 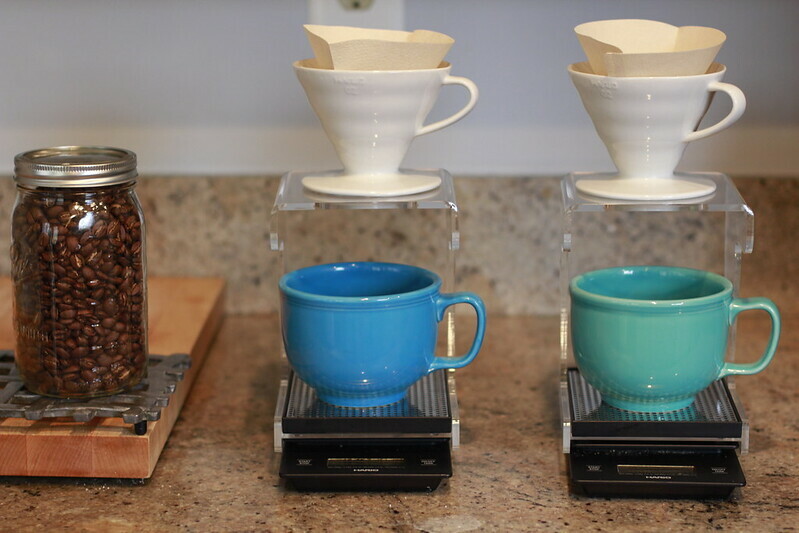 Or you can just use a heaping scoop for each cup if you don’t own a scale. 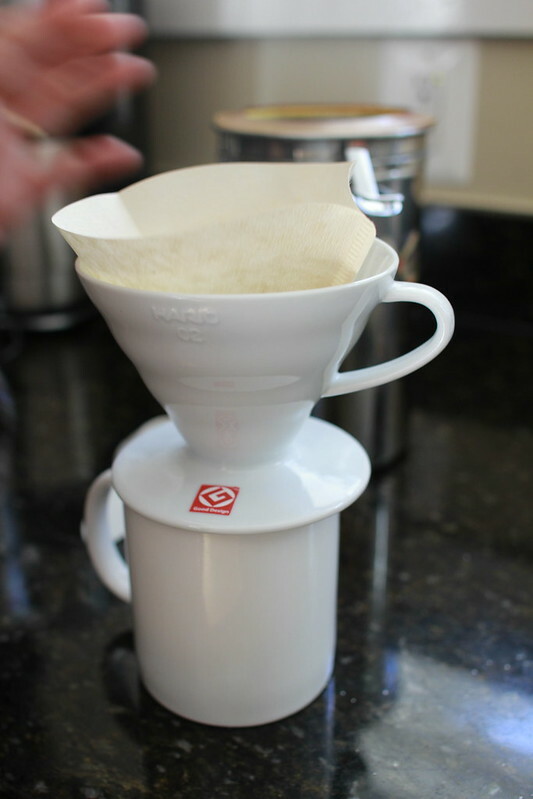 The scoop comes with the V-60 ceramic coffee dripper. Slowly begin pouring water over the grounds in a circular motion about the size of a cracker. 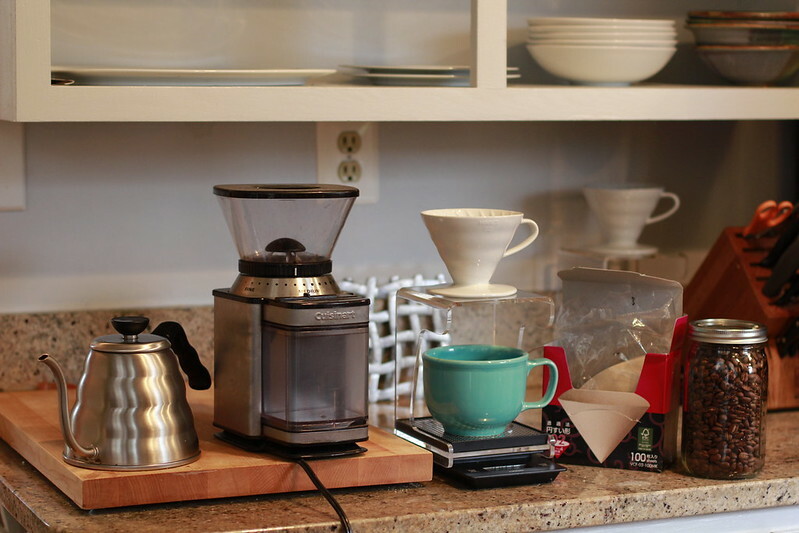 Start your first pour with only 50 grams of water. Or if you don’t have a scale pour 5 circles of water and stop. Let it sit for 30-60 seconds. Fresh grounds will make a bloom at this point. Notice the bubbles – that means the coffee is fresh. Then begin the second pour. Pour an additional 300 grams of water, making it a total of 350 grams of water or until your cup is sufficiently full (if you don’t have a scale). 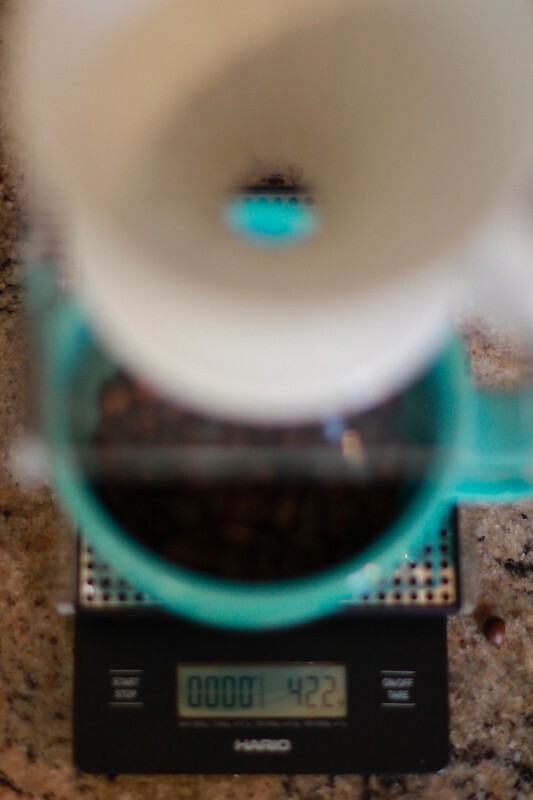 The coffee will seep through the filter into the cup below. 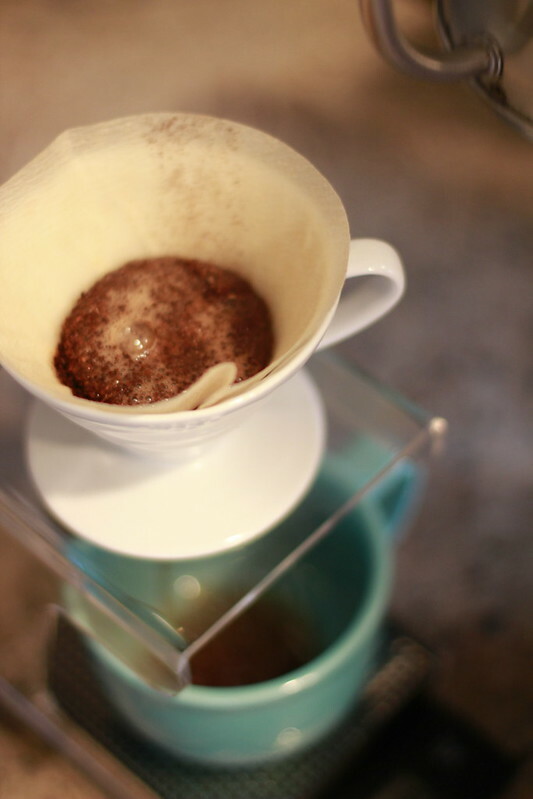 Enjoy your pour over however you like. I prefer black, but I know not everyone likes their coffee black. When I ran a brew bar at the farmers market, I always recommended that my customers try their pour over black, just to really taste the coffee. Then, they can add whatever they want to it. Most of the time people will decide to drink the whole cup black. Give it a try.